At our used Porsche dealership in Dallas, we can’t help but admire this automaker’s long standing history. With a reputation built on innovation and fierce independence, Porsche has become a go-to nameplate for modern motorists seeking supreme power and luxury. It all started back in the 1930s when Ferdinand Porsche founded his company. He initially worked as an independent designer and consultant for established car companies, eventually bringing his son into the fold. Together, the father and son duo expanded the team to 200 workers in 1948 with the goal of creating their own sports car. Needless to say, the company was successful in achieving that goal. The Porsche 356 was born that same year, while the company was still based out of a small garage. 52 units were produced in the next couple of years, prompting the Porsche company to invest in its first factory space in 1950. The years that followed were fruitful for Porsche, and included the genesis of many Porsche models we still love to this day. The 550 Spyder and the Speedster 356 were both close behind the original Porsche 356. It was 1963, though, when things really began to change. Firstly, the Porsche 911 was born; it remains one of the most popular Porsche models at our Dallas dealership even now. Secondly, Porsche distribution reached the United States! Since Porsche first arrived on US soil, passionate drivers have been swept up in a whirlwind romance with the automaker that continues into the present. With new models, awards, and a community of loyal drivers, Porsche has plenty to boast about these days. 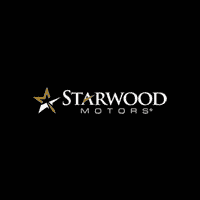 For more information on the latest Porsche models, or to schedule a test drive with the Starwood Motors team, be sure to give us a call at (800) 348-9008 or to contact us online today!